Book for only £72 inc VAT. It is vital that all vehicles more than 3 years old must undergo an annual MOT test of safety, road-worthiness and exhaust emissions. Our MOT testing centre is regulated by DVSA (Driver & Vehicle Standards Agency) and our testers have been fully trained and certified. When we carry out our MOTs we strictly follow the guidelines issued by DVSA, ensuring that you receive only the best quality service. Bodywork, exhaust, emissions and the driver's view of the road (windscreen, wipers, etc). If your car fails the MOT, we will clearly explain to you what needs to be done, carry out the necessary repairs and give you a completely free of charge retest, even if you choose to have your car repaired at another garage. Our fully licensed MOT test lane uses the latest equipment, so that we can offer you the highest quality MOT services. If you are unsure when your car's MOT is due, you can use this useful link: www.gov.uk/check-mot-status. 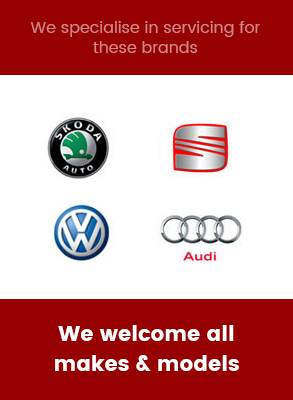 Get in touch with us today and book in your next MOT test at the friendliest garage in Westbury.